If the current offering of double cab pickup trucks are just not quite extreme enough for you, then you probably need an Isuzu D Max AT35 in your life. Artic Trucks’ conversion of the Isuzu D Max has created a bog-snorkling beast, with a price tag to match. The AT35 is a tie-up between Isuzu UK and Icelandic off-road specialist Artic Trucks. 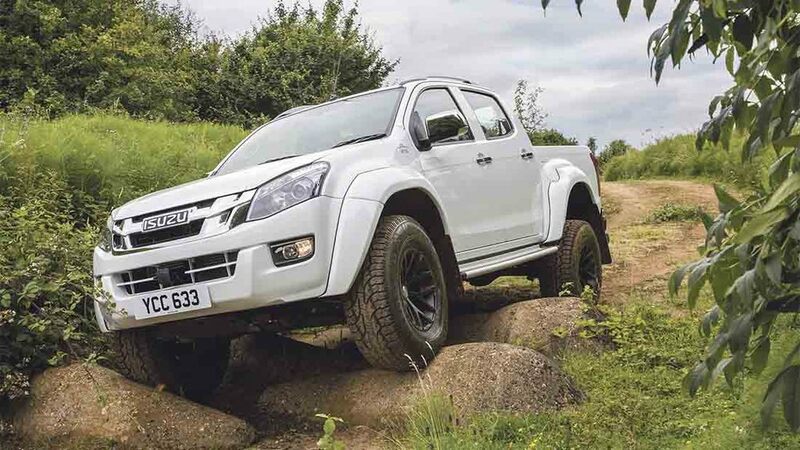 And if the latter sounds familiar, Artic Trucks was responsible for the beefed-up Toyota Hilux which took Top Gear’s Clarkson and May to the North Pole. It is safe to say that its work includes some of the toughest off-road vehicles roaming the wilderness, backed up by a 25-year history in creating extreme off-roaders. Getting the D Max from workhorse to bog-snorkling adventurer has seen a bunch of changes applied to its chassis. And those massive Nokian 317/70 R17 all-terrain tyres, measuring 35 inches in diameter, give the truck its AT35 moniker. Boots sit on 10-inch wide rims, but getting them under the D Max’s wheel arches - yes, those are extended too - means the chassis needed a bit of lift. Wheel and tyre equipment provides a 70mm lift, with suspension changes releasing an extra 80mm of ride height. 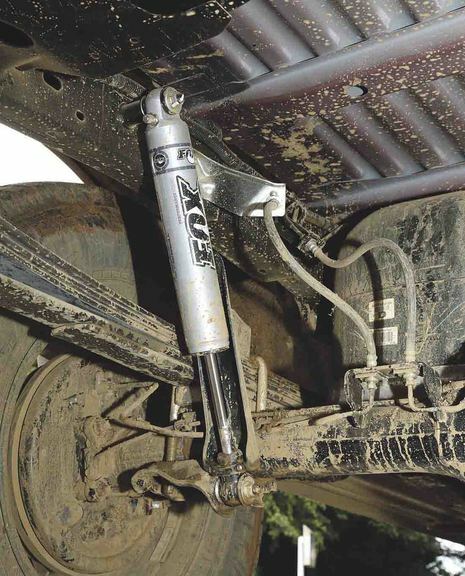 Some of it comes from the Fox dampers, while 20mm risers sit on the rear lift springs. Revised dampers and suspension changes give the AT35 better off-road credentials. So you get better approach and departure angles than the regular D Max. What is it like to drive? Farmers Guardian had the chance to try the AT35’s capabilities at Milbrook Proving Ground’s extreme off-road course. But before we could go off-roading, we had to find a way to climb into the cab. Step ladder anyone? The AT35’s side steps have been widened and are a practical addition to help the climb into the driver’s seat. With vertigo well and truly conquered, a glance around the cab reveals an unchanged interior. And turning the key brings the 163hp 2.5-litre twin turbo into life - no change here, either. As we venture off-road, the taller tyres and longer contact patch come into their own when negotiating ditches and gullies. There is extended axle movement from the revised suspension, but the AT35 takes this in its stride. Those balloon tyres do a great job in soaking up bumps and from my elevated perch, I’m waiting for the inevitable grind, bang and scrape from the underside, based on what I see coming up. But those noises never arrive, as the AT35 walks over everything the Milbrook course serves up. AT35 stands head and shoulders above the regular D Max. Its ability to grip the (admittedly dry) surface of a 60 per cent downhill gradient was one of those moments where the pickup proves it will go where you probably do not want to. And to top it all off, the truck is equally as competent on-road too. On Milbrook’s high-speed bowl - a two-mile banked circuit - the AT35 could be pushed on without fear of a police speed gun peering from behind a hedge. Here, the ride feels no different to the regular D Max. There is an increase in tyre and wind noise, but it is not ear shattering. You will not find an AT35 at every Isuzu dealer though - it will be available through 36 carefully selected dealers in Extended Cab and Double Cab guise. It sill carries Isuzu’s 125,000 mile, five-year warranty, retains its one-tonne payload and its 3.5 tonne towing capacity through an integrated receiver hitch. The only downside is perhaps the price - the double cab AT35 costs £33,499+vat, and that is almost £10,000 more than a leather-trimmed D Max Utah on which it is based. 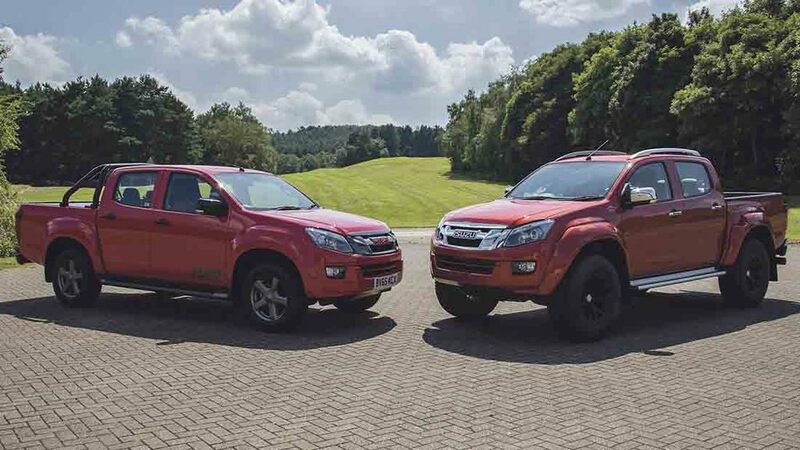 Isuzu UK clearly sees a healthy market and expects to sell about 300 units per year.